We give peace of mind to Kiwis that everyone can exit their buildings safely during a fire. Find out how you could build a fulfilling career with Fire Security Services. We are always keen to hear from talented and passionate people who want to help protect people and their property. What is a fire technician? Why Choose Fire Security Services? We provide you with all the training and support to grow your career in the fire protection and building compliance trade. Job vacancies are updated in this section regularly. Otherwise, feel free to contact us directly. With new ownership and fresh leadership, Fire Security Services is on an exciting journey to be the most trusted fire protection provider in New Zealand. If customer service is important to you, then join our team in delivering a new standard in the industry. As well as people already in the fire protection industry. Make it easy – Always look for improvements. Challenge the status quo. Keep it simple. Do what we said we’d do – Commit to your customer and colleagues. Make sure it happens. Take ownership. We’ve got your back – Work as a team towards our common goal. Look after your customers and team mates by doing what’s right. We’re not a new player in the market. In fact, we’ve historically been a market leader as our roots go back more than 40 years. Our journey to disrupt NZ’s fire protection industry will open up various career-advancing opportunities that may not appear as often in larger companies. It’s an exciting time to join us as we earn more customers’ trust by making it easy, doing what we say we’d do, and having their backs. Skilled staff are critical to our success. We offer NZQA qualifications to help build your career. It combines online and ‘on-the-job’ training. Our managers and supervisors will ensure you experience your new skills on the job. We have many stories of technicians learning new disciplines and completing more than one NZQA qualification to become multi-skilled technicians. New opportunities are frequently appearing as we continue our journey to be NZ’s most trusted fire protection provider. Our technicians work on some of NZ’s more complex and interesting sites. These range from airports, hospitals, data server centres, heavy industrial facilities, and stadiums. Ease into work with a company induction from our HR Team. You will find out how we do our day-to-day tasks and who to talk to if you have any questions. You will be supported with a buddy as you get to know the role and the company. We also know that sometimes life throws a curved ball. Staff mental wellbeing is important to us. It’s why we provide all staff with access to a free 24/7 helpline, which includes three free anonymous sessions with professionals. We have a good track record of helping staff work through personal situations where we can help. We have our staff backs, especially through difficult personal situations. Your first role at Fire Security Services could be the start of a long and rewarding career with us. If you are ambitious, there are many pathways to grow and develop your career with us. We have plenty of examples of staff building fulfilling careers at Fire Security Services. These include administrators who moved into sales or branch management roles, as well as entry-level technicians who have become supervisors, branch managers, and even general managers. Check out the following stories as examples. John has been there and done it all within the fire protection industry. He is currently on the Fire Protection Association (FPA) Committee providing leadership to the industry. From no industry knowledge, to helping our customers understand industry jargon - Lesley Fuller has quite the story to tell. Ideally, you will hold NZQA Fire Detection and Alarms Level 4 or similar qualification. You will be required to undergo a pre-employment drug test. is part of a small, fun local team. If this opportunity sounds like you, then don’t hesitate to apply. This role has an immediate start date so you will already hold NZ residency or a current work visa. Please quote vacancy number 1905 in the subject line of your email. As an Alarm Service Technician, you will be a team player who shares the workload of servicing our customers from the Wellington harbour in the south, to Kapiti and Otaki and across to the scenic Wairarapa. We are seeking someone with excellent customer service skills who can get on with the job and provide efficient service with every job. You will get to work on some amazing sites with state of the arts fire protection technology and get to learn in our ‘hands on” training room in our Lower Hutt office. an electrical registration would certainty help your application. You will be able to communicate easily and professionally in both oral and written English. We promote a drug free work environment and carry out pre-employment testing. 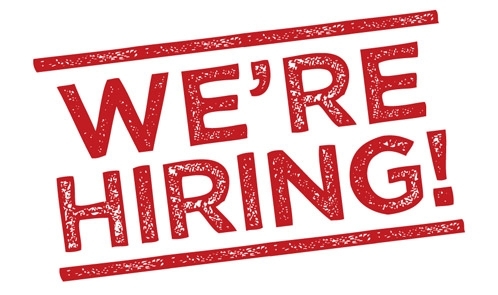 Please send your cv and cover letter to ruths@firesecurity.co.nz. We will respond to your application once it has been processed. We are seeking an experienced fire sprinkler fitters to join our growing Auckland team. You will be out on site everyday providing great service to our customers. The role requires the ability to install, maintain and repair fire sprinkler systems. You will be handling steel pipes, hydrants, and other materials used in the installation and maintenance of fire sprinkler systems. Carry and move heavy equipment and tools. Be able to cut threads and bend pipe using proper tools and machine. Join and secure pipe using proper standards and techniques. Plan the sequence of your installation or repair to ensure minimum disruption for the customer. Ideally you will have a minimum of 2 years’ experience, hands on installing and/or servicing sprinkler systems. This is an exciting and fast-paced technical role. You will be attending customer sites to diagnose, and repair system faults for sprinkler, gas suppression, pre-action, deluge, and hydrant Riser systems. Your knowledge of sprinkler installing, fault finding and repair of fire sprinkler systems will be used every-day. You may have the opportunity to earn more money by being an On-Call Technicianroster. We carry out pre-employment drug testing. Please send your cv and cover letter to ruths@firesecurity.co.nz. We will respond to your application once it has been processed. This may not be an immediate response.